Recently the owners announced plans to close down the company. A fire broke out on the territory of Ukraine's largest tyre manufacturer Rosava in Bila Tserkva of Kyiv Region. 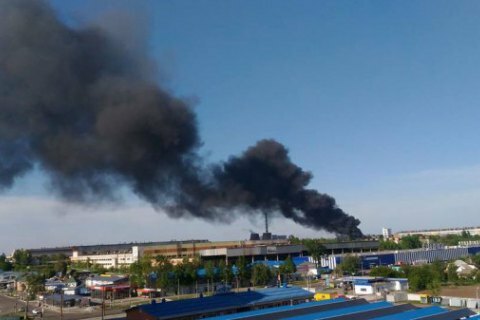 "There is an emergency in Bila Tserkva near Kyiv: the Rosava car tyre plant caught fire. State Emergency Service workers are working there. Reasons for the fire are unknown yet," dtp.kiev.ua reported. The spokesperson for the State Emergencies Service in Kyiv Region, Viktoriya Ruban, told the UNN news agency that the fire broke out at the rubber goods warehouse in Bila Tserkva. On 30 April, Rosava shareholders announced they were closing down the company. The plant is incorporated into the group of companies owned by MP Kostyantyn Zhevaho.